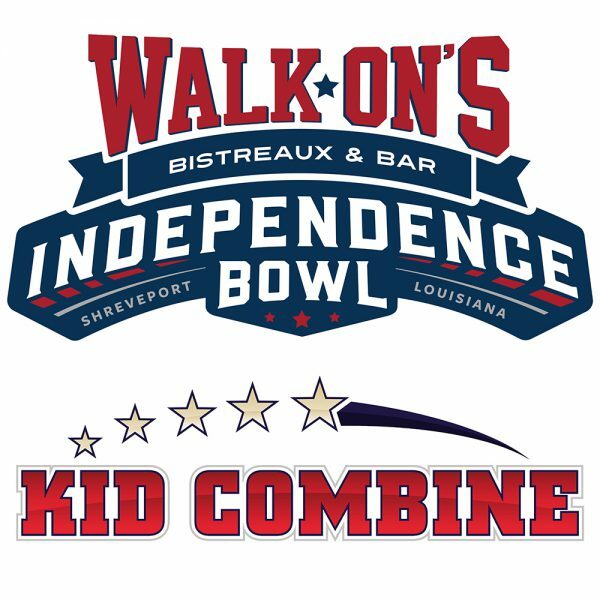 The Walk-On’s Independence Bowl Kid Combine enters its third year of existence this weekend, as the event will kick off 2019 at the third-annual Crawfest at Betty Virginia Park on Friday and Saturday. Kid Combine takes aspects of the NFL Combine and allows kids to participate in similar events. The youth, ranging from ages five to 13, compete in four drills – The 40, The Shuttle, The Throw and The Tackling Bags. The top performers from the competition at Crawfest will have the opportunity to compete in their prospective drill on the Independence Stadium field at the 2019 Walk-On’s Independence Bowl. Crawfest, which has been expanded to two days for the first time, takes place this Friday and Saturday, March 22 and 23 at Shreveport’s historic Betty Virginia Park. Crawfest, as well as Kid Combine, is a free admission event. The festival will feature live music from local artists Friday night and all day Saturday, and fresh boiled crawfish, burgers, jambalaya and drinks will all be available for sale. The Walk-On’s Independence Bowl, the 11th-oldest bowl game, played the 43rd edition of the game on December 27, 2018 at Independence Stadium in Shreveport, Louisiana. The Duke Blue Devils won their first Independence Bowl, defeating the Temple Owls 56-27. The Walk-On’s Independence Bowl enjoys primary conference agreements with the Atlantic Coast Conference (ACC) and Southeastern Conference (SEC), as well as backup agreements with the American Athletic Conference (AAC) and Conference USA (C-USA). The Walk-On’s Independence Bowl and Independence Bowl Foundation are prevalent in the Shreveport-Bossier City area throughout the year, hosting events to help enhance the economic impact and growth of our community. For more information, visit WalkOnsIndependenceBowl.com or follow the bowl on Facebook, Twitter and Instagram at @IndyBowl.